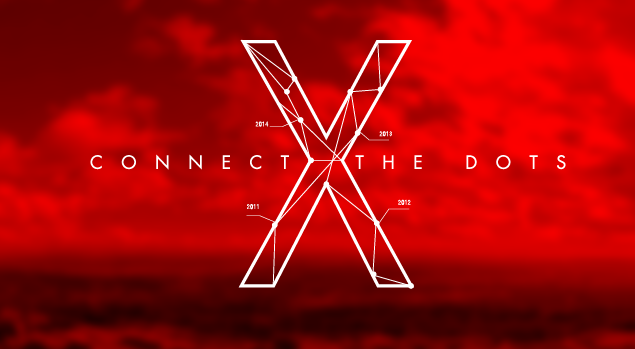 TedxSFU happened yesterday and I can start off by saying, it never disappoints. This is the second time in my life that I have attended TedxSFU and every single time, there are speakers and stories that make a difference in my life. I wasn’t sure about how I would share the experience, at first I wanted to write a review of what everyone said but that would mean I would have to sit there and take LOTS of notes. I found that I would probably miss the experience by doing that so I decided to write certain lines, quotes and things that I found relatable. I apologize in advance at how long this post might be. I definitely tried to limit my word count but I want to be able to share my experience. This year the theme was “Connect the dots”, right off the bat this theme meant a lot to me. Even when I was applying, I wondered why this was important to me. Recently, I discovered that I am a multipotentialite–this means that I have a lot of interests and skills that vary so I have hard time finding that one thing that I can call my own. We grow up thinking that we need to be that one thing, that we can’t do more than one thing or combine multiple passions into one. There’s this saying in spanish that says “el que mucho abarca poco aprieta” which translates to “He who embraces too much holds on to little”. And I grew up feeling like I had to pick one dream only, one career, one interest but I began to feel restricted and suffocated. So how does one connect ones interests? Do I do one at a time? Do I do two? Or three? Am I capable of achieving all of them at once? Do I prioritize? All these questions started running through my head. What am I supposed to do? Well, you attend a TedxSFU talk. Or at least that is what I do. Right off the bat, it inspired me. During the introduction, Sam Thiara–the co-founder of GradusOne said two things that really resonated with me. The first thing was that we should “discover the extraordinary [from] the ordinary“, I found this to be extremely important. Sometimes we sit around waiting for something extraordinary to occur in our lives, or we don’t take opportunities because they seem to ordinary and we end up preventing ourselves from finding something extraordinary. All of our stories are important, they are all unique and our experiences make us who we are. The second thing he said was about our attendance at TedxSFU, he mentioned that it’s not all about just attending, sitting and listening but what will you do with what you hear and feel? I find that to be true, sometimes we just go to listen, to meet people, feel inspired for a moment and then move on with our lives. I think that we need to be able to apply them to our goals. The next quote that I found relatable and important, especially for someone who sometimes thinks that can be a little impatient at times. The next speaker, Dr. Ryan D’Arcy talked about brain plasticity, hope and inspiration. He talked about Capt. Greene and how he has become an inspiration because of all the things he’s accomplished after his injury. I was captivated by how much perseverance, determination and support can do for a person. I was extremely moved and happy to hear this story but what really got me was when he said “little steps add up to make quite a distance“. Sometimes we want to see the whole picture right off the bat, we’re so focused on the big picture that we forget about the steps we took, or we don’t realize that each step we take will get us to that main goal. If you want to know more about this story, I encourage you read about it, his achievements and what he plans to accomplish real soon. Capt. Trever Greene (CBC news story link). Next was Bryce Evans, Founder and Operator of the The One Project–which is an online photography community to help with depression and anxiety. As someone who tends to get anxiety a bit, I found this talk very important. There are so many ways to express how we are feeling whether through a song like Lindsay Dixon or through photography like Bryce or writing or dancing. There are so many ways to get the message across on mental health, our personal struggles without having to actually talk. I found that super important because sometimes we are afraid of what we say and how people respond to what we say. There were a few things that stuck out for me such as “have conversations with yourself” and being authentic to ourselves. We have to find ways to have a healthy relationship with ourselves and figure out what we need and what we want. A few more things that stuck out to me that Bryce mentioned was that “[our] full potential cannot shine until we feel whole” and that “[we] are the most important project of our life“. I can agree with this. You cannot help others until you have helped yourself. She had so many good ones but these were the ones that really stuck out to me. We all have problems but those problems change to possibilities when you change how you react to them. I also recently learned to accept my body and who I am, so these really made me happy inside. I know that this has been one of my longest posts and I hope to share even more about my experience. I decided to divide it into two parts so that it doesn’t take too much of your time. I shall post the second part to it after I’ve organized my notes a bit more, expect it either later tonight or tomorrow morning!